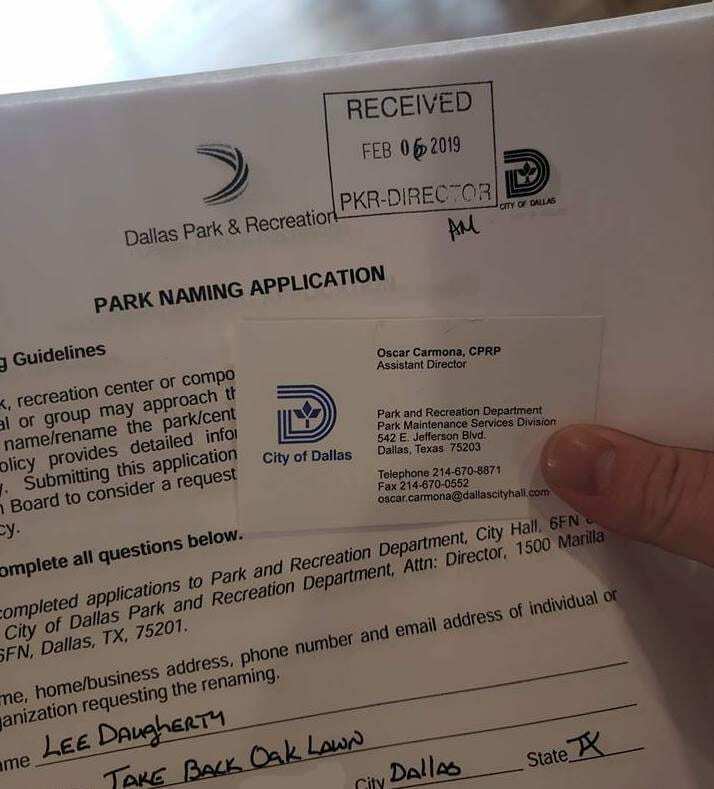 Take Back Oak Lawn has filed an application with the Dallas Parks and Recreation Department to make the name of Oak Lawn Park permanent. The name “Oak Lawn Park” was deemed temporary by city officials after the statute of Confederate Gen. Robert E. Lee was removed, changing the name of the park from Lee Park back to its original name Oak Lawn Park until a permanent name could be decided. 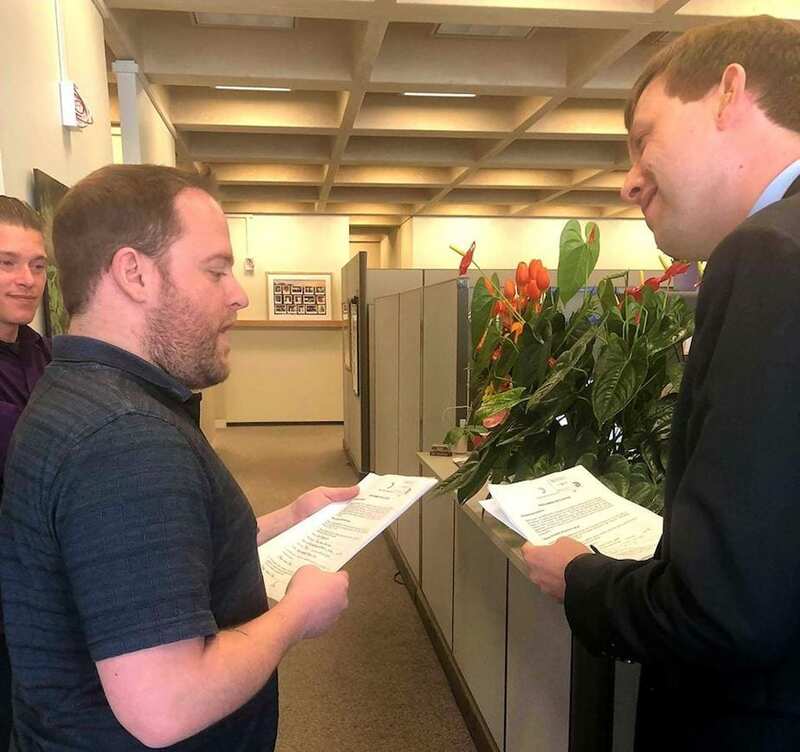 Lee Daugherty filed the application this morning (Wednesday, Feb. 6) to counter attempts to change the name to Stanley Marcus Park or Turtle Creek Park. Because so much of Oak Lawn has been renamed and rebranded in what many see as an effort in order to distance the area from the LGBT community that spent decades making into a livable neighborhood, many consider the proposed name change from Oak Lawn Park to have homophobic overtones. (See opinion piece published yesterday by Dallas Voice). Daugherty said a park rep checked the paperwork and said they’d be in touch.